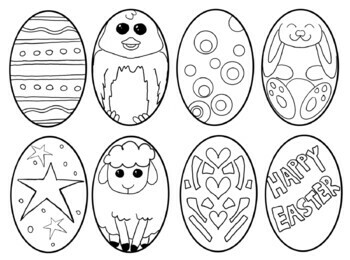 Multiple uses for this page: Use eggs to fold and glue together and make a fun flipbook, write on the back of each egg and use as Easter cards to pass out, or just use for decoration around the classroom. I drew this page using digital paint. Thanks for checking out my store!